Home / Democracy / Elections / Lalu Yadav / Latest Post / Leader / Politics / Since When Naveen Pattnaik Is Daydreaming? Since When Naveen Pattnaik Is Daydreaming? Every time the general election looms large, it brings about that rare seriousness among political parties. It also brings many comics to the fore as well. At least in last two editions, including the one that we are hoping to have in 2014, one major laughing stock that gets skirted is the possibility of a non-congress, non-bjp third front. Last time that was just a nameless third front which now have reincarnated itself with a name coined by Mamata Banarjee; the federal front. As expected, the possible constituents hooting for it now are the same, those were hooting for it back in 2009. The same SP, BSP, AIADMK, BJD and many more similar small regional parties hope to combine themselves to give a shocker to the two major political parties of the country. Mind the word ‘hope’ since last time they pretty much hoped the same, only to disintegrate even before they could start building something credible and noteworthy. But any such claim of a third angle to our national politics calls for a debate, more so within the confinement of the A/C studios of our media houses. People get crazy with varied ideas and opinion, which at times suggest as if the people who may form any such front are eagerly waiting for the outcome of such debates. What else would justify the anxiety and tone employed in any such debates which gives an impression as if it is now that couple from the panel will exchange few blows to settle things? Even people who have got nothing to do with the first front, let alone third are routinely invited on primetime to throw at us their pennyworth as if without them we would have remained far less erudite than what we are now. Anyway, coming back to the topic. For me, a third front is quite a possibility. That said, in our politics, possibility is what hardly matters. It is the probability that matters more. And if you ask me, what is the probability of a viable third front getting formed; then my guess is as good as anyone else’s. We are less probable to have a third front is for a simple reason. None, those who claim to come together have got any sense of togetherness or bonding to start with. There are reasons for such deductions. All the political parties who could group in are regional outfits. Their presence is only in handful states, most of the times one or at best in two. As far as working together is concerned, none of these parties have worked together in the past. So the understanding or the lack of it between these parties is anything but obvious. Second, they seldom have looked beyond issues that don’t affect their state, their political semantics or they themselves. So all the parties of this so called proposed third front would have their own agendas, priorities and concerns. While Naveen Pattnaik may cry for industrial growth in Odisha, Nitish would be busy asking for aid and special status. Mamata Banarjee though highly unpredictable will be expected to come up with policies directly affecting the left while Mulayam may be full time engaged in formulating frameworks to release all the Muslims languishing behind bars on terror charges. Little told about the likes of Jayalalitha, Mayawati and Lalu would be better. One will be more interested in marrying off all her foster sons/daughters lavishly while another will keep on designating new lands to build her parks and memorabilia. Lalu as per his habit will look out for avenues to eat few tons of cattle food and few thousand community toilets and time permitting might play the role of head comic character of the coalition. I am not sure, if NCP will come into the fold, but if they, they would have their own set of interest which is very vast in itself. In such a diversified and colorful umbrella, one would be trivially fool to believe that they can walk together beyond three months; or may be less. Another big, big problem that I see with the coalition is coming up with a leader of the group. Each one, from Mulayam to Naveen, Nitish & Lalu included, is a mass leader in their own terms. Each one of them is a crowd puller and potential numero uno in his/her state. Forget Mamata, she is a law unto herself; so is Mayawati. Each of them would definitely want to carry on the same clout going forward. None of them would appreciate to play a second fiddle to any of the other. Knowing someone like Mulayam, would anyone believe he will so easily let a Naveen or Nitish become the PM of the nation? Ditto is the case with Nitish and Naveen as well. They won’t allow anyone else to supersede them so easily either. And as far as I know Mamata, she may very well want a role of Sonia Gandhi altogether in the coalition. Variety of individuals and variety of aspiration, with none may not be agreeing to leave an inch to make way for a compromise to push in. As I mentioned, the lack of togetherness would never make these great regional leaders to forgo personal preferences for someone else. Not even for the larger cause. Even if they come up with their unanimous leader (more unlikely than seeing a Rajnikanth movie and laws of physics gong hand-in-hand) I am sure all hell will break lose during portfolio distribution. Each party will want maximum representation in the government. Mamata may very well want Derek O’Brien be made the next home minister. 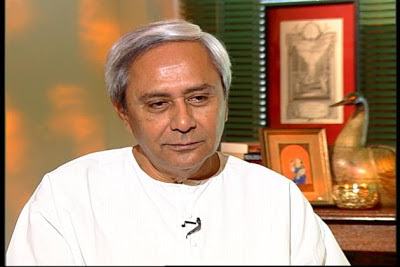 Naveen may want his blue-eyed boy Jay Panda hooking up to the external affairs ministry. Mayawati may want both the coal as well railway ministry, looking at the opportunities these two ministries offer for mass looting. Well, if they agree to go for lucky draw then the matter could be different, else I don’t see how these chaps could decide on the portfolios without tearing each other’s Kurta in a fit of anger. On a serious note, if the decision of portfolios ends up being decided on the foreground of physical might; I see Jayalalitha in an enviable position. To end the post, I have a small message for Naveen Pattnaik. Being from the state of Odisha, I feel it more than obligatory to let my CM know a very vital point. If the third successive term has blurred his vision and he finds himself at par with the towering personality of his father late Biju Babu, then he is sadly mistaken. If he thinks he has enough clout to make amends in national politics, then he is anything but fooling himself badly. I urge him to look at a certain Lalu Yadav and see where an ex CM has landed himself into. Just because he was once blurred with his power and thought he could make strides in national politics, he ended up losing all that he had; politically and otherwise. Hope, a clever chap like Naveen Pattnaik would learn from other’s mistakes, rather committing them himself. Enough said!! Being from Odisha I want my CM become the PM of this nation but that said, the example of Lalu is a testimony that the other side of the river always looks greener. Hope Naveen Babu is well aware of this. awesome one...........I am an odia but naveenji in national level...plzz god save me from that disaster...hhaha...well written dear..